In the 1/4 finals of the Russian hockey players had to play with the national team of Finland. Final score 3:1 in favor of the Finns, and the Russian team lost the chance to fight for Olympic medals. After a successful victory over the national team of Norway to the Russian hockey players had to fight with the Finns. Unfortunately, the game wasn't successful, and the Russian team eliminated from the fight for Olympic medals. Team Finland won with the score 3:1. The defeat of the Russian team was influenced by several factors. First, between matches, the athletes had little time to recover. So, the game with the Finns started less than 22 hours after the victory over the Norwegians. But in this case the claim can be submitted to the organizers. Second, the hockey team is absolutely not played with each other, moreover, was quite unnecessary removal. Third, athletes have not managed to realise numerical advantage, although such a possibility was. The first period started rather gently, until not struck shot on goal (in the third minute of the game), however, the Finnish defenders did not allow him to finish. The result was a skirmish at the gates, and our players lost their nerve. The result - Kovalchuk received a two-minute removal. The fans expected a quiet and peaceful game. However, in the middle of the first period the score was 1:1. The Russians were able to score the only goal during the game in the first period. With the defense of the Russian team was also not all right, to the end of the first period, another puck was in our gate. The entire second period, the Russian players tried to take the game into their own hands, but in vain. In addition, in the area of goal our players has been taking liberties, the result is again deleted. This time Ovechkin went to the penalty bench, and the Finns took advantage of the moment and the score became 3:1. Did not help the Russian players and the replacement of the goalkeeper: Bobrovsky replaced Varlamov. After the third successful a goal was scored, the Finns started to play only at the gate. Despite the fact that the game almost the entire third period has passed in the opponent's area, the Russians did not manage to score a goal. It was evident that hockey players have accepted defeat and mentally "pack their bags". 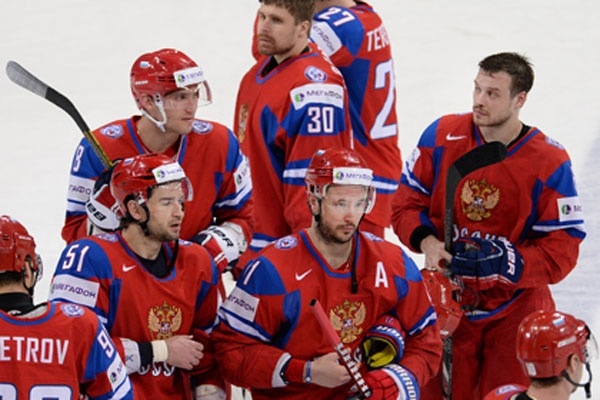 The result was not long in coming - the Russian hockey team leaves Olympic games in Sochi.